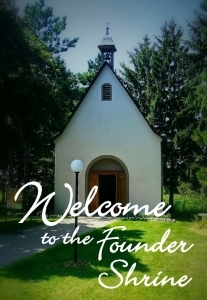 The Founder Shrine in Madison, Wisconsin, was dedicated on June 20, 1953. 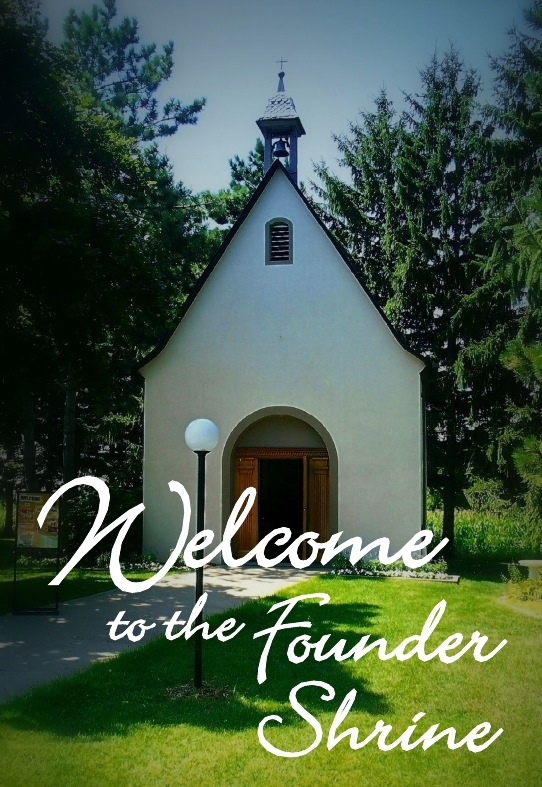 It is the first Schoenstatt Shrine to be built in the United States. 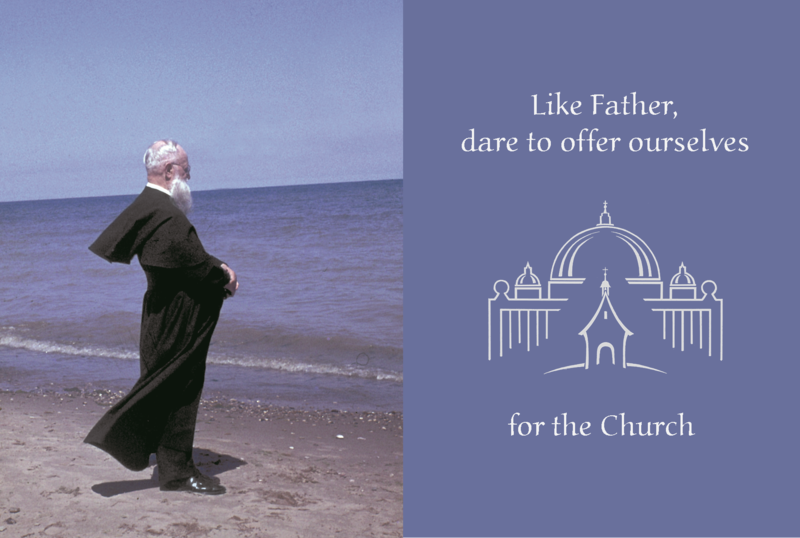 At the cornerstone laying on October 18, 1952, Bishop William Patrick O’Connor expressed his hope and conviction that the Shrine would become a “spiritual powerhouse,” not only for the Madison diocese, but for all the States of the Union. The Bishop’s prophetic words confirmed the insight of Fr. Joseph Kentenich, Schoenstatt’s Founder. He believed that the Mother Thrice Admirable, Queen and Victress of Schoenstatt would be effective from the Founder Shrine as the leader and educator of the American people. The goal of the Blessed Mother’s educational activity is our personal sanctification in everyday life, and the moral and religious renewal of our society. She wishes to accomplish this miracle in time through the dispensation of grace, and our free cooperation, prayers and sacrifices. In a time of global challenges, America can only fulfill her destiny as a leader of the free Western nations if our people, under the patronage of Mary, come to share in the true “freedom of the children of God” (Romans 8:21). Fr. Kentenich always stressed inner freedom as an essential educational objective of the Schoenstatt Movement. The present location of the Shrine at Schoenstatt Heights overlooks the State Capitol and reminds us that the Blessed Mother wishes to lead us upward to the heights of holiness. The Shrine was moved from its original site on the grounds of Queen of Apostles Seminary on October 10, 1979. Because Fr. 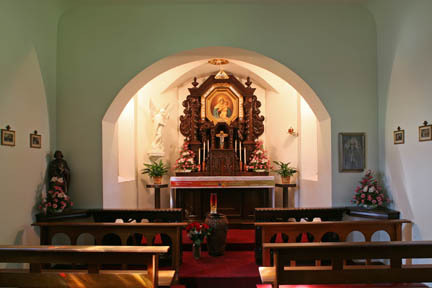 Kentenich prayed in the Founder Shrine and celebrated the Eucharistic liturgy there, the Shrine will always mediate the grace of spiritual nearness to the Founder, and faithfulness to his spirit.